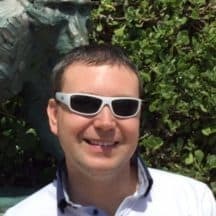 Daytona Race School Graduate, Bobby won the 2016 AKO Autism Hero Awards for Outstanding Achievement in sport. 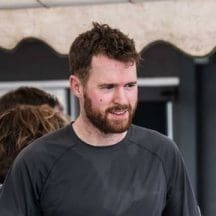 He currently leads the Inter Enduro Championship and is second in the Heats. 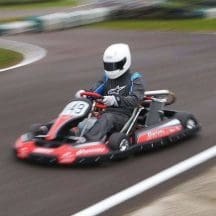 Started karting at Pembrey Karting aged 10. 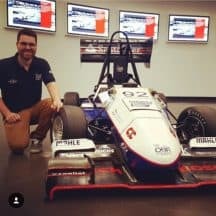 Started Owner Driver racing at 17 but gave it up to go to Uni. Now racing in DMAX and sitting 6th in the 2016 Champs. As a child, Bourke honed his skills driving ride-on lawn mowers on his parent’s farm in Australia. 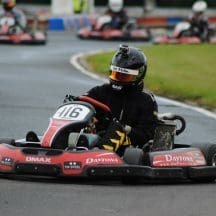 In the odd DMAX round he can be witnessed reverting to these unorthodox lines with mixed results. 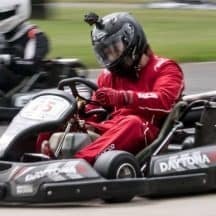 Lee's love of F1 got him into a DMAX about a year ago. 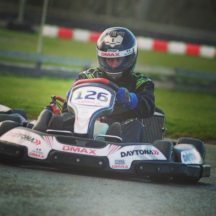 Since then he has raced in DMAX Open races securing podium finishes along the way. 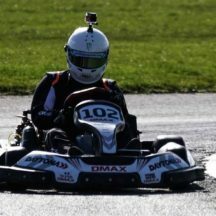 Daytona DMAX 2017 will be his first Championship experience. 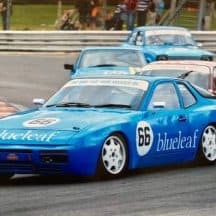 Started racing age 12. Current Vice Champion in the 2016 Inter Enduros, with a 3rd place overall in 2015 Inter Heats. Multiple wins and podiums. 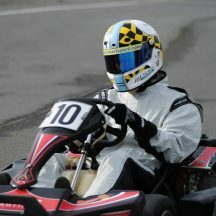 MSV Palmersport Instructor on the side! 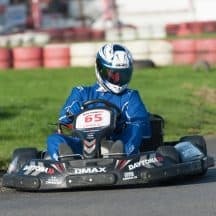 Nigel started karting late in life but will be entering his third DMAX season. 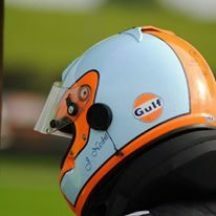 Tends to view proceedings from the back of the grid but enjoys the racing and friendliness of the drivers and DMAX Crew. 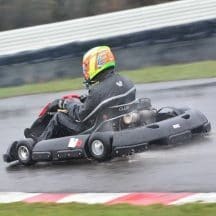 Tyler has been racing in Championships for the last 7 years, having first driven a kart aged 8. 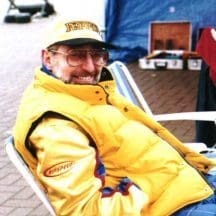 First competed in Canada before moving over to the England, and has raced with Daytona ever since! 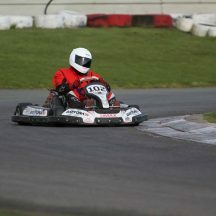 Joe is new to the DMAX Championship aged 15, having decided to take the step up from recreational karting. 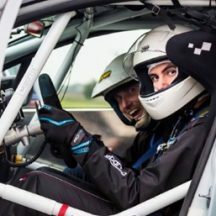 Tested a Clio Cup race car at Blyton Park in 2016. 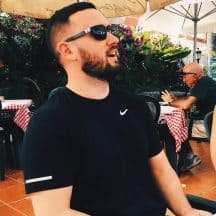 Can't wait for the season ahead! 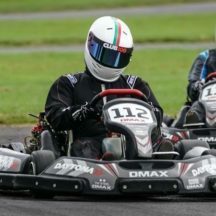 A DMAX regular since '13, Andrew would like to improve on his 0.06 podiums per race but he'll settle for regular solid top 10 finishes that he couldn't manage last year but had done previously! 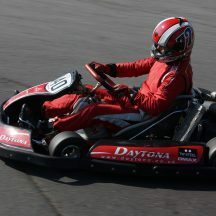 Matt finished 3rd in the DMAX 08/09 Winter Series and 2nd in the 2009 Sprints Championship. 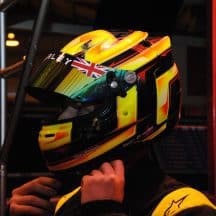 Various successes followed in BUKC including 2nd in Drivers' Championship (SHW). 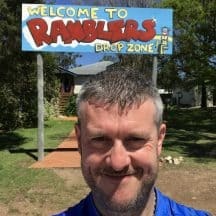 Time to try the Enduros! 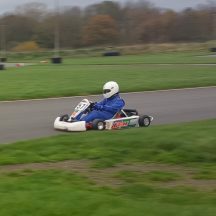 Raced DMAX for a few seasons now, but after a gap year last year (to build a kit car), Tim will be happy not to finish last! 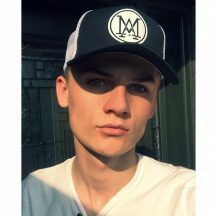 Has competed in DMAX, EKL, EPEC + more. 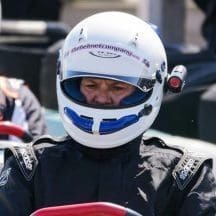 Was in the team that placed 3rd in the Daytona 25 Hours Race 2016. 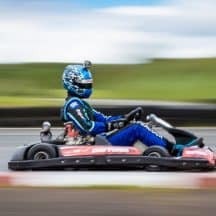 Loves firm but fair kart racing. 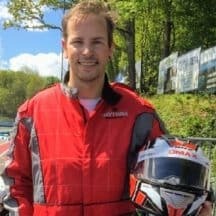 In 2017 Tom will be racing in DMAX, the Daytona 24hr & BPEC! 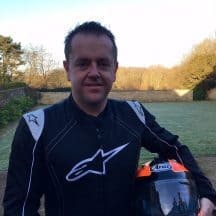 Started racing in 1995 in both 2 strokes and 4 strokes. Has raced with C100, and also at Buckmore and Daytona, making it to the SWS World Finals. 2015 Rotax 177, BUKC & Kent Cup Champion. 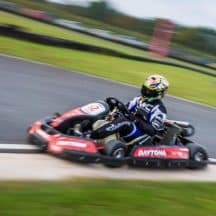 Stuart has been karting since 1996 when Daytona re-opened the old James Hunt Centre in Milton Keynes. 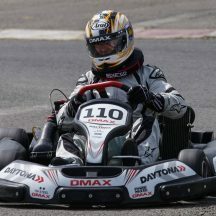 Has been a constant presence in the DMAX Championships for the last 5 years. 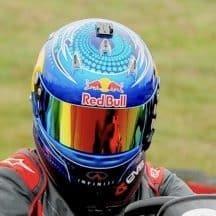 Made the Semis of the Redbull Kart Fight '11 and rediscovered his love of racing. In '14 he raced in his 1st DMAX race at Clay. 2016 saw Mike finish 5th in the Enduro Champs. Race win is the aim now! 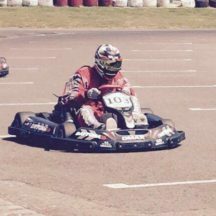 Raced TKM, Senior Max & BUKC until early 20s then had a break until finding DMAX in 2015. 4th Overall in Inter Heats in debut year, took 3rd overall in 2016 by one point! 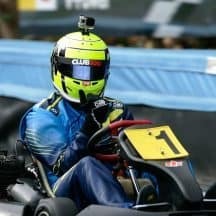 Competed in BUKC (2003) followed by a season of C100 and many seasons of CKS. Did a couple of DMAX rounds last year and hopes to make 2017 his first full season. 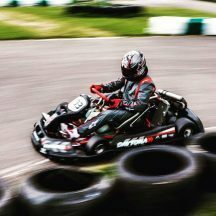 Seb has been karting from a young age, and 2017 DMAX marks his 4th season in the DMAX Championships. After a solid 2016, Seb is eager to get behind the wheel and race in anger once again! 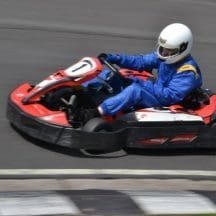 Started karting in California, racing Rotax at Sonoma Raceway (and Skip Barber at Laguna Seca!). 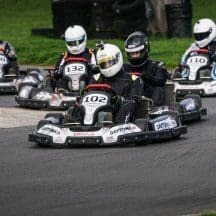 Returned to the UK to race DMAX in '16 and achieved two podiums in Inter Enduros. Regular on iRacing. 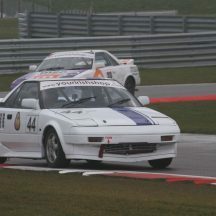 David did a couple of races in the DMAX and C100 Championships in 2014, before racing in the Track Attack Toyota MR2 Series for a couple of years. Club racing at Clay Pigeon from Honda Cadet to Senior Rotax. 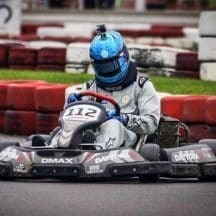 Represented Oxford A at BUKC but hasn't race since leaving Uni. Hoping it comes back to him before too long! 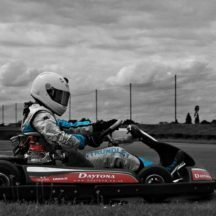 Competitive karting since Jan 2016 in the RHPK before entering a couple of rounds of DMAX, including a debut win at Sandown Park in August. Started outdoor racing in EKL with Coseley Cougars 2012-14. Switched to CKS in '15, and won the Heavy weight class in '16. 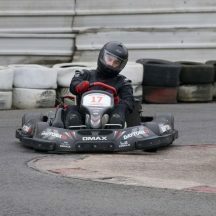 Regular DMAX driver at Tamworth and MK, now in his first DMAX Champs season. 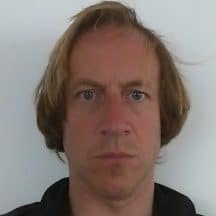 Author of "The Prince of Naples - the true story of a 12 year old boy who took down the mafia in 1980's Naples". Races his BMW M3 in Toyo Tyres Racing Saloons and the Kumho Cup! Raced 100cc TKM's in the mid-90s, whilst in his early teens. Hasn't raced much since but still has the bug! 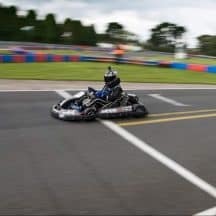 Starting karting in the Sandown Park InKart Series before moving up to DMAX in 2010 and achieving numerous Championship podiums. 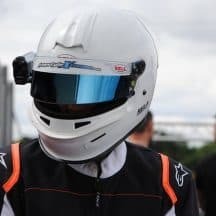 Also competing in Formula Student with Team Bath Racing. 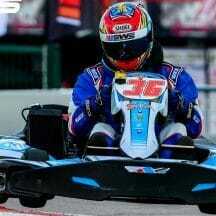 Winner of Inter Enduro at PFI International 2014. 3rd place in Daytona 24 Hours Race 2015. Hopefully more podiums to come in the future! 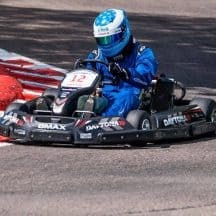 Paul has raced in CKS since '11 and is now looking to move into 2-stroke racing and the DMAX Champs. 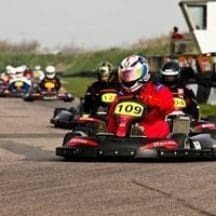 Hoping to do a few rounds this year to regain some form following "child-related" lack of practice! 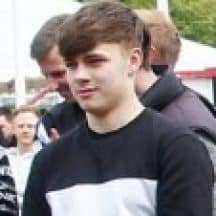 Competed in his first 2-stroke race series last year, before making his debut in DMAX at R10, finishing 20th. Hoping to improve on this throughout the 2018 season! 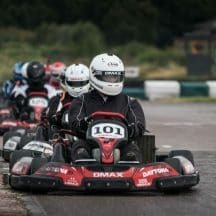 DMAX Championships newcomer for 2018. 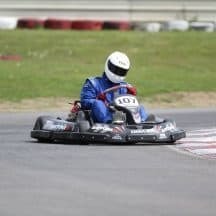 A long-time watcher of the series having started karting in mid-2016. 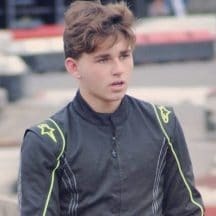 Has driven DMAX, Rotax Max and x30 karts last year, and this will be his first championship. 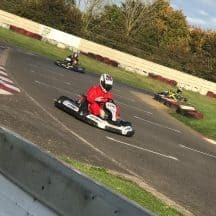 Richard has had a passion for kart racing since his schooldays - a long time ago now! 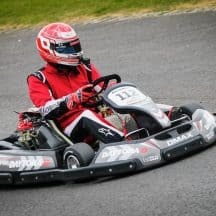 Now yearning for more speed with his first rounds in the DMAX Championships. 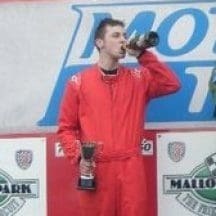 Started racing in 2009. In 2010 won the D'min' Championship, before Championship wins in Inkart, twice in Cadets and once in Juniors. 8th in Light Enduro Champs last year, with a best finish of 5th. 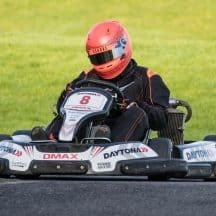 Raced in Future Classics in the 944 over a few seasons but now having first attempt at go-kart racing and straight in with the DMAX Championships. 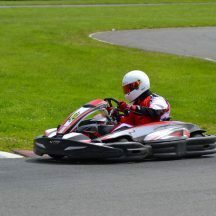 Has been racing his own Prokart at his local track in Angmering for the last 4 years, winning 2 Championships. After giving Clay Pigeon a go last year, it has made him want to give DMAX a proper go! 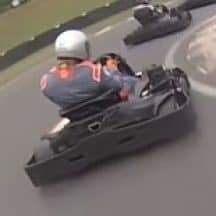 Did some kart racing when he was younger which stopped in the mid 00’s, after that did a little bit of saloon car racing. 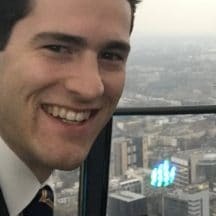 This finished when he went to uni and now is just looking to have some fun!